So you want to be Uma, the new Queen of the Isle, daughter of Ursula? I don’t blame you. A lot of other people do, too. 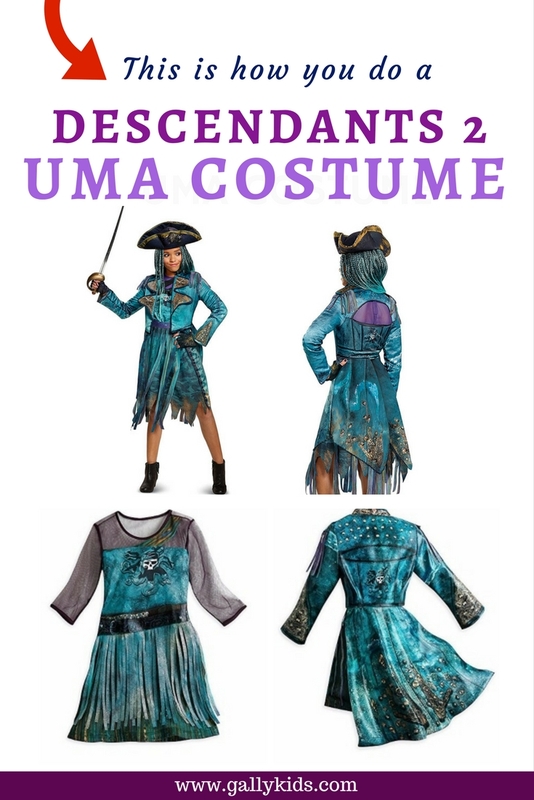 I bet outfits from the Descendants 2 movie like an Uma costume or a Mal costume is going to be one of the popular costumes this year. The easiest way to get this outfit is to have the official Disney costume. It is, however, selling very fast, so if you’re reading this nearer to Halloween, you might find out that it’s not easy to buy one. 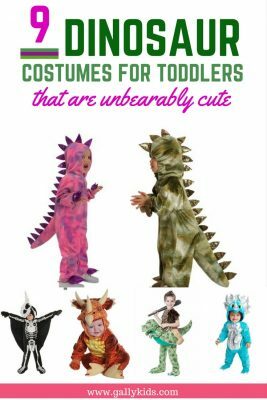 On this page, we feature the different costumes available. 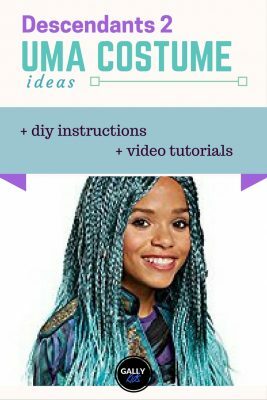 We also have a tutorial on how you can you can make an Uma Halloween costume if you want to make it yourself. Note: Some of the links on this page are affiliate links. This means that at no cost to you, we get a referral fee when you click a link and buy a product from a merchant partner. Uma’s Hat: The DIY Wig Uma’s pirate hat is another important part of this Kids Halloween costume. If you already have a hat from another costume, use that. You can customize it by adding shell accessories. 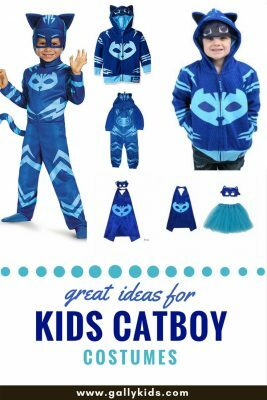 If you want to buy a ready made set, there are a couple different costumes that you can get. There’s one that’s licensed by Disney and another one by Disguise. Yes, Disney has it’s own officially licensed Uma costume. It’s not always easy to get and is often sold out. Here’s what it looks like. 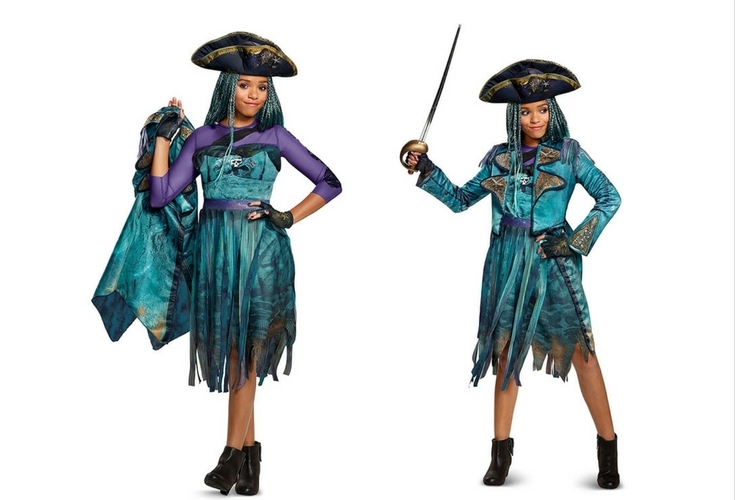 This Disney Uma costume includes a dress with the tassels in the front, a faux leather jacket, fingerless gloves and a pirate hat. The dress has a translucent top and a skirt with bands. This is what the Uma costume by Disguise looks like. 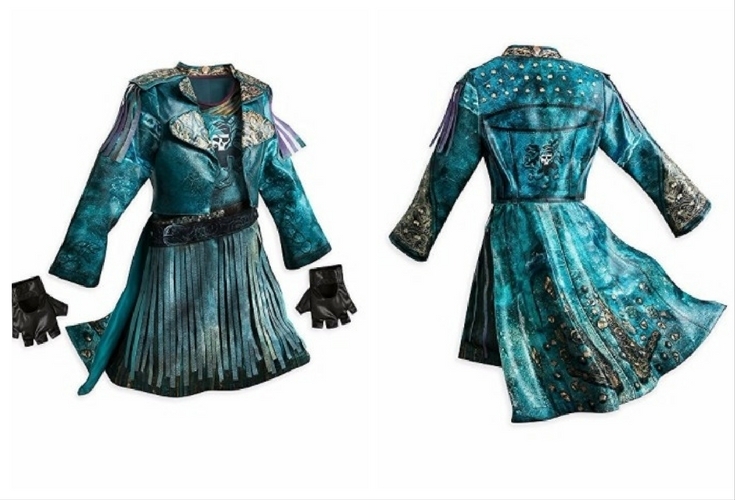 It includes the dress, jacket, hat and a pair of gloves! All the things you need to complete the look. 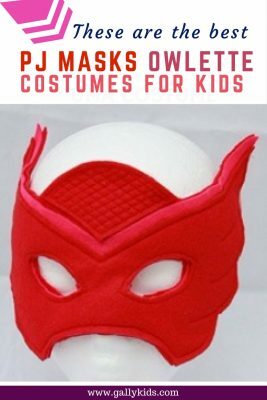 If you’re buying this costume, check out HalloweenCostumes.com. If the size you want is no longer available, Amazon usually has it, too. Note: There are some 3rd party sellers on Amazon who, from reading the reviews, have not sent the whole set. So make sure you buy from reputable sellers. Anyway, it’s still possible to DIY an Uma costume. It might not be exactly the same as the official Disney costume above, but it still looks good. Here are some ideas to help you with this. To make an Uma costume yourself, you need to think of 3 different parts of the outfit. First, make sure you have a teal/blue dress with tassels. Secondly, have a leather jacket or vest accessorized in the same way as Uma in the movie. 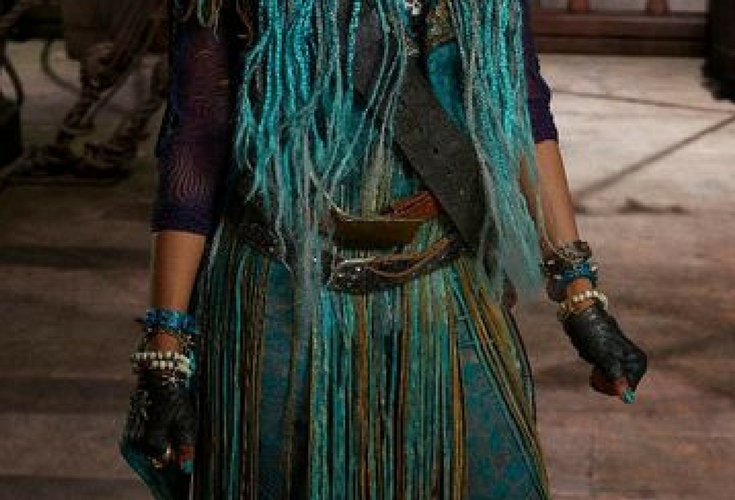 Third, Uma’s blue hair and pirate hat are a must-have to this outfit. Lastly, don’t forget the accessories. And voila! You’ve got yourself an Uma costume. Scroll below for some ideas and recommendations on how to do this. Here’s a video tutorial for a Do It yourself Uma costume. This should give you an idea on what we’re trying to go for here. For ideas on where to get Umas’s wig and accessories, keep scrolling. One important thing to consider when making Uma’s dress is it’s color. Go for one along the shades of teal, dark blue green, turquoise or aqua. Remember, Uma is Ursula’s daughter and she radiates the deep color of the sea. A flowing dress would be perfect for this. If not, you can use a blouse and skirt and sew them up together to make a dress (or use a glue gun as shown in the video tutorial below). The top of the dress is sheer material with long purple sleeves. Here are some dresses that I have found that you can work on to make this costume. Don’t buy a very expensive dress. Get it from the thrift shop if you can find one. Depending on the dress you’re working with, you may need to either cut it short and/or cinch it at the waist with a purple belt. These dresses look basic and will need some DIY tweaking, but they’re the type you’d want to start with. If you look closely at Uma’s top, you will notice that she has long purple sleeves. This is easy to copy by using a dark purple shrug. Uma’s hair makes a big difference in this outfit. It’s uniquely Uma. Uma’s hair and pirate hat gives a burst of fun and mischievousness to the costume. 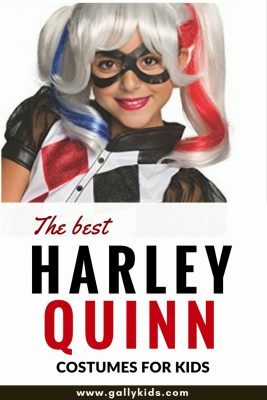 It’s her trademark that many people will easily recognize. If you’re making this from scratch, this is also going to take most of your time. Uma’s hair color has shades of blue like the sea with some hints of black and white. It is also braided into long strands. The best way to DIY this look is by using yarns of these very same colors. Here’s a detailed video tutorial on how to make Uma’s hair. It’s got a lot of great tips on how to make thin and thick strands, how to style the end of the hair so it looks like real hair and what to use to put all these braided hair on. If you don’t want to spend time to braid and make Uma’s hair, you can also opt to buy a ready-made Uma wig. Snag one right now before they all go out of stock, as it usually does towards the Halloween season. 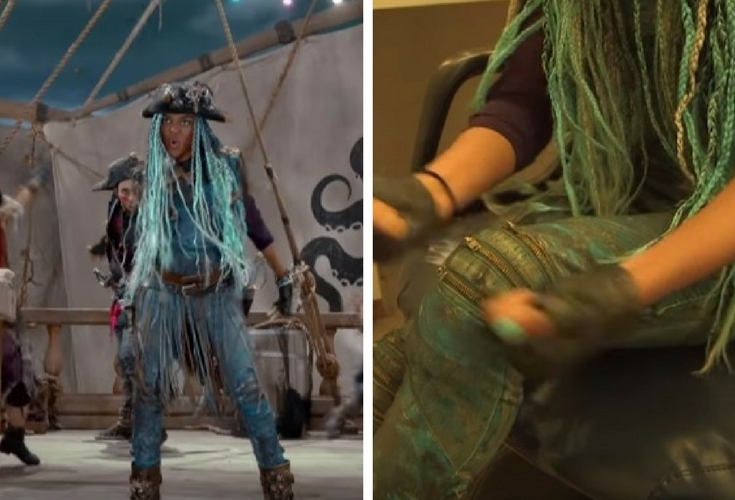 The first two wigs are more or less very similar to the movie, the other two aren’t. 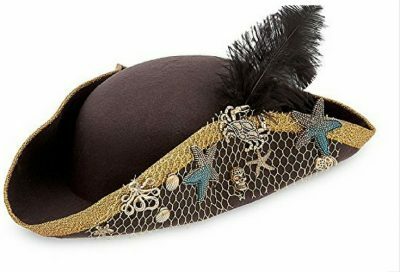 Uma’s pirate hat is another important part of this Kids Halloween costume. If you already have a hat from another costume, use that. You can customize it by adding shell accessories. Here’s another idea for an Uma hat and wig combo. Braid some yarn for the hair and attach it to the hat the easy way. The accessories for the Uma descendants costume make a big difference, so don’t forget them. First of all, don’t forget the belt. You can use either a black or brown one. Ideally, put on more than one belt and layer them just like the way Uma does in the movie. Next, wear a necklace, loads of blue aquamarine colored bracelets. You can also paint your nails aqua. Finally, don’t forget the black or brown boots! The image above is the Disney merchandise. 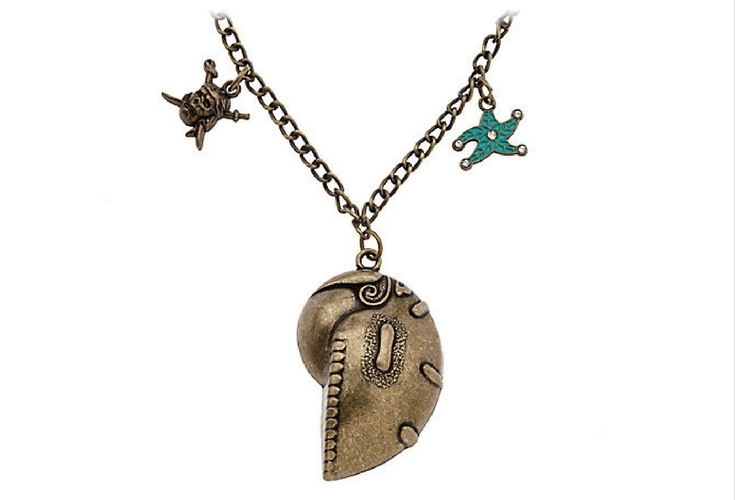 The video tutorial below is a DIY’s Uma necklace using polymer clay and gold eyeshadow. It’s pretty nice. If you still need some more ideas on how to make an Uma costume, here are some more things I think might be of some help. This idea involves a lot of layering – which seems to be what Uma’s outfit is in the movie. There are three important parts to Uma’s dress. First, the top with sheer sleeves. Second, the shorts or jeans, and third, the tassels skirt. Here are some pictures of what I’m talking about. Some of the images aren’t very clear, but you’ll see what I’m talking about. And let’s try to recreate this, shall we? As you can see from the images above, Uma has those frilly tassels skirt. So let’s recreate this. You can make it easy on yourself and buy this adjustable tassel skirt. You’ll need to dye it a bit though to make it more like Uma’s. But if you have the time and patience, you can make this without a sewing machine. All you need are strips of thin fabric (preferably a mixture of aqua, sea green and black colors – braided together if you can) and make something like a long tutu skirt. Here are two video tutorials on different way to make fringe skirts. This first video tutorial needs some crochet skills. The end products look very nice. For the yarn, use a mixture of golden, light brown and blue colors to make it look more like Uma’s. Here’s another tutorial on how to make a fringe skirt using old tshirts. If you have shirts that are of the same color as Uma’s dress, this video tutorial is what you need. All you need are two shirts — no need for the pompoms! and if you don’t want to sew it up, you can always use your trusty glue gun. You may have noticed that Uma has a few different clothes in the movie. There’s the dress, the jeans and the shorts! So an alternative to a blue dress is to wear jeans or shorts. Use any old jeans or shorts that you have. The closer the color is to Uma’s, the better. You can also use leggings or skinny jeans. For the top of this Uma costume, you can use a sheer top combined with a pair of faux leather vest or jacket. You can also use a corset to wrap around the body. If you can find a leather vest, that’s half of your job done. Or you can make it even easier by foregoing the jacket/vest. If you want to make the vest, check out the video below which includes how to to make hair, makeup and Uma inspired costume. She explains how she made the vest. Pretty cool! Making an Uma-inspired Costume. The video goes very slow but stay with it. 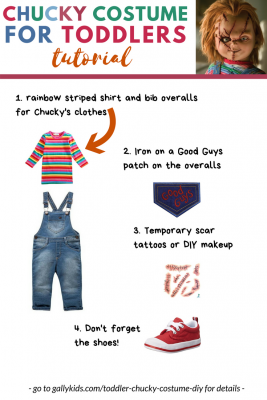 You’ll get lots of ideas on how to make your own costume from the makeup to the vest jacket. 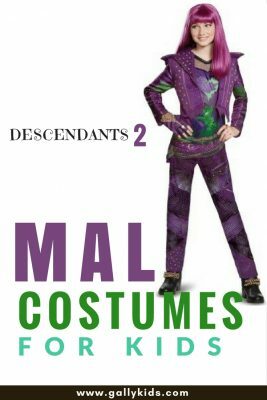 And if you want some more costume ideas from the Descendants 2 movie, you’d want to look at this Mal Costume, too!